“Intentional community” has become a familiar phrase used to describe a group of people who choose to live together in a patterned way. In making this decision, they order their common life through shared commitments rather than by default. Sometimes these fellowships model their way of life after religious communities known as monasteries, convents and friaries. But not all who live in ‘intentional community’ take vows, or describe themselves as “catholic.” In recent years, believers from protestant and evangelical backgrounds have chosen to live together in religious communities so they can share prayer and meals, as well as assets and expenses. The ecumenical monastic order of Taize, and the L’Arche communities for people with developmental disabilities, provide compelling examples. They inspire young people to live together for a period of time, so as deliberately to evoke the apostolic community described in Acts. At the heart of these initiatives is an observation: through Baptism, we already share membership with one another through our incorporation in the One Body. 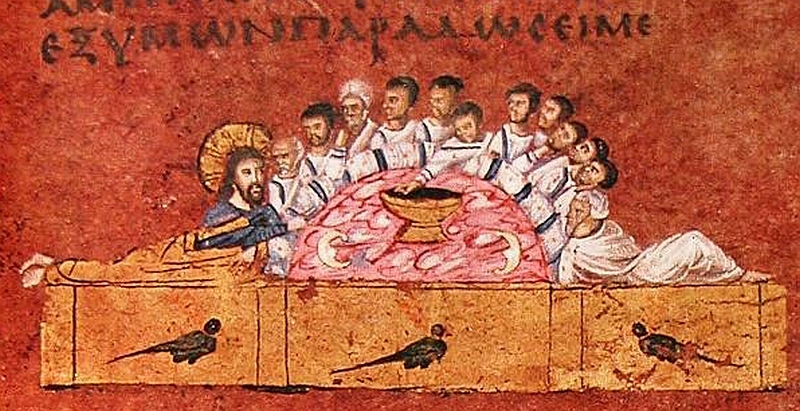 In every Eucharist, we offer all that we are and all that we have. We may not actually give our energies and our goods in ways that literally manifest these resurrection-enabled realities. But they discipline our awareness and vision, if we open ourselves to their power to transform our lives. The beauty of the risen Lord and his Spirit permeate the community that bears his name, wherever it may be found — in an apartment in a blighted urban area or in a house on a rural farm; in a convent or friary of life-vowed missionaries, and in the ordinary households of believers everywhere. If we already share the most valuable thing we have, our Spirit-led life in the Risen Jesus, why is it so hard to share ourselves and our things with generosity and joy? Old habits and attitudes die hard, even if they have lost their original power. This may be why Paul urges us not to set our minds on the things of this world but on things above. It is surely why we find Jesus so often telling us not to be afraid. The beauty of the Lord, whether in the face of an icon, or in the face of a fellow believer, frees us and transforms our natural inclinations and limitations. His grace and love are abundant, and his beauty is found everywhere — even in you, even in me. 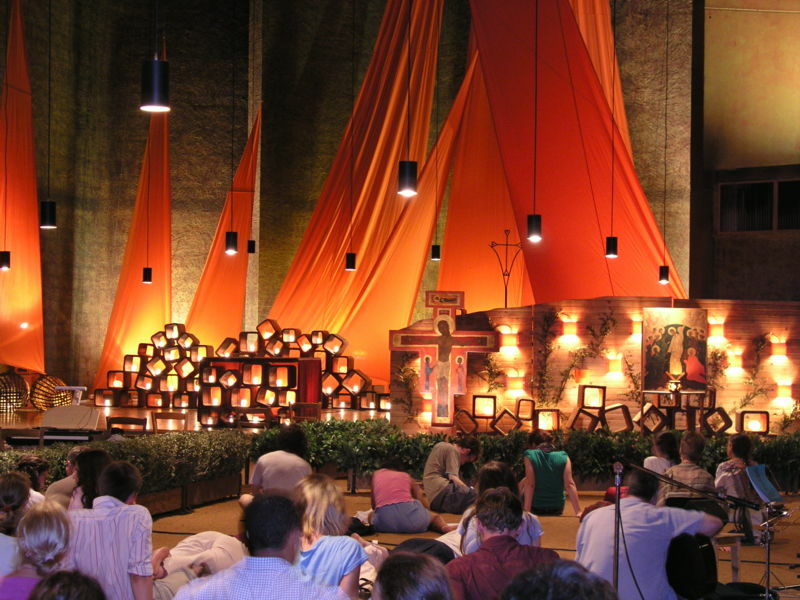 The photo above shows people gathered for prayer in the Church of Reconciliation at Taize (Creative Commons Attribution-Share Alike licence). The theme of this posting directly follows the theme of the prior one, “Common Beauty.” See Acts 2:42-47.